The beverage and bottling industry is a demanding and challenging industry. Conditions at beverage processing and drink bottling plants must meet strict sanitation protocols. Sanitation in these environments is so crucial, that cleanroom conditions are usually required. High pressure wash-downs with aggressive detergents and chemicals needed to meet stringent sanitation regulations require flooring that can stand up to constant abuse. 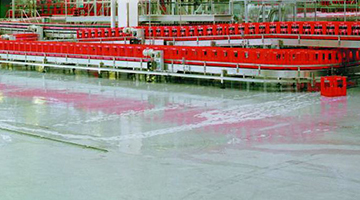 Where typical flooring systems often fail, Florock’s specially formulated polymer floor coatings are designed to withstand the harsh environment of beverage processing and bottling plants. Flooring for beverage processing and bottling plants must meet USDA industry standards for daily operations. Our USDA approved flooring for food and beverage-processing facilities meets guidelines established by the U.S. Department of Agriculture, while promoting and maintaining a sanitary and hygienic environment vital to these operations. Withstand heavy surface loads from bottle cleaning machines, filters and filling machines. 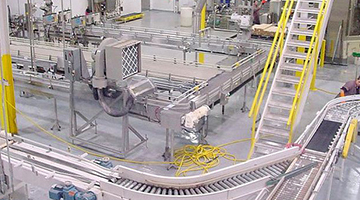 With such a wide array of industrial flooring systems, Florock has the right solutions supportive of the high sanitary protocols in beverage facilities and bottling plants. Florock’s Floropoxy Wall Systems, fiberglass reinforced, are an ideal complement to our flooring systems. Because we know that every plant is unique, Florock provides support from design through construction. Our technical representatives and authorized installers can advice on proper slope drainage to eliminate ponding during cleanup, furnish waterproofing underlayments to protect concrete slabs, and finish with integral epoxy wall systems to ensure excellent lifecycle value for any facility. Whether production area, bottling room, or filling room, Florock’s polymer flooring systems support sanitary protocols, industry requirements and more. Get in touch with a technical representative to learn more about our flooring options.